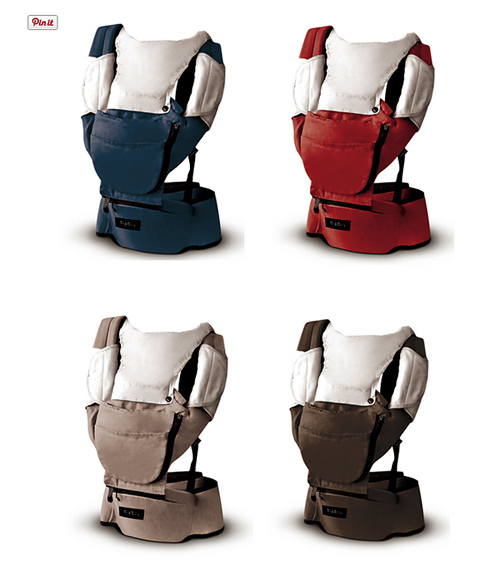 The Hipster is a new baby hip carrier, created by Cecilia and her husband Alessandro, who live in Switzerland. Having no family nearby when the couple’s baby was born, it was was more than just a painful inconvenience when Cecilia pinched a nerve in her back, due to fatigue and carrying her daughter. After trying out a heap of baby carriers, Cecilia couldn’t find one to suit, and as with so many brilliant creations, necessity became the mother of invention. The Hipster was born! When the new carrier was launched on Kickstarter last month, it took no time at all to hit its target – and in nine days the Hipster sold almost 300 units. The Hipster has a point of difference to most other carriers on the market – it has a back-supporting belt, with an integrated seat for the baby. 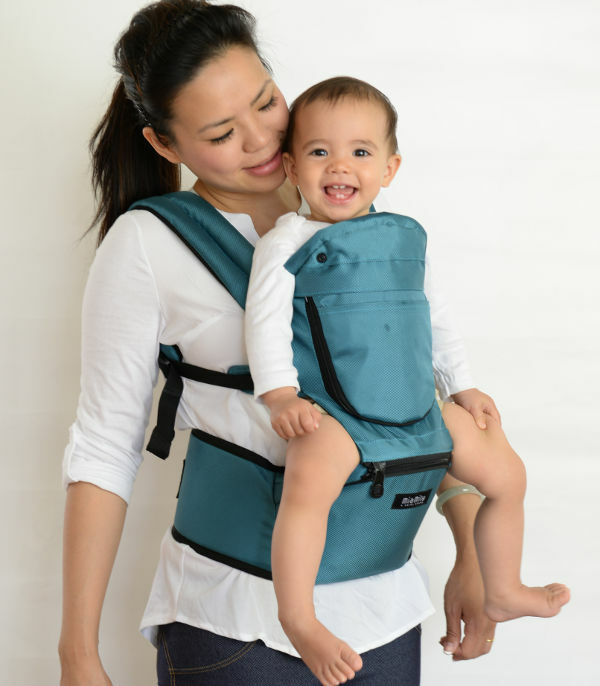 The aim is to make baby carrying comfortable so it can be done for longer. It’s also a breeze to put on. The ergonomics of the Hipster is that it enables the wearer to maintain a good posture, while carrying a baby. This doesn’t happen when we carry our children the traditional way on our hips. There are nine different ways to use the Hipster, including the baby facing in, out, on the side and on the wearer’s back. It’s designed to be used for babies from three months up to three-year-old children – depending on the weight of the child. There’s still an opportunity to back the project to the tune of US$120, and nab US$245 worth of retail value, including having a Hipster delivered next month. If you do purchase one through Kickstarter, there’s free worldwide delivery.